R’es Eda was a survivor of Commander Blanx's unleashing of the Blue Flame of Mars, which rendered their world uninhabitable. Exiled among the few survivors to a tiny surrogate world dubbed Mars II, Re's Eda served as Keeper of the Sacred Martian Symbols. 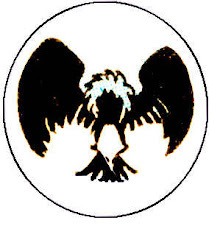 However, Eda felt that his people were doomed to die far from home, and was receptive to Army Commander N'or Cott's revelation that he had discovered an advanced underground civilization called Baltaz. 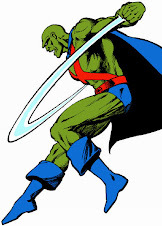 Through his friendly relationship with Martian leader J'onn J'onzz, Eda was certain the Manhunter would stand in the way of Baltaz's subjugation. 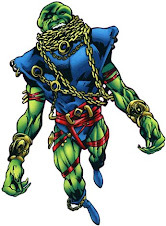 Fearing a revolt if he had J'onzz killed, Re's Eda instead conceived a plot to smear his name. Eda took a bio-serum to counteract the effects of a ray blast, then had N'or Cott "assassinate" him as he was presenting J'onn J'onzz with the Scepter of State. R'es Eda left J'onzz a "clue" that sent him on a wild goose chase off-world, while N'or Cott pursued in a bid to exterminate the Martians' leader before he could return. In the meantime, Re's Eda swiftly recovered to assume command of the colonists at the Spacefort. R'es Eda told his people J'onn J'onzz had arranged to have him shot, but fearing such, he had taken the bio-serum. Eda claimed J'onzz had stolen one of the Martian's last ships to escape detection. Re's Eda next emptied the Spacefort's armory, taking all weapons and military supplies available for use in conquering Baltaz. Every Martian man, woman and child was led out of the Spacefort on an exodus through the Primitive Zone. Near the end of their trek, Martian Manhunter returned with Superman in tow to find his people camped for the night. Confronting their leader in his tent, J'onn J'onzz was shocked to uncover his best friend's treachery. Re's Eda proudly elaborated on the intricacies of his grand plan to secure the riches of the fabulous civilization of Baltaz, while dispatching J'onn J'onzz through his hotheaded loyalty. Re's Eda grinned as he acknowledged how he had lied to the Martian colonists about Baltaz to motivate them. J'onn J'onzz tried to reveal the truth to the Martian troops, but they were completely behind R'es Eda, and the hope Baltaz offered them. 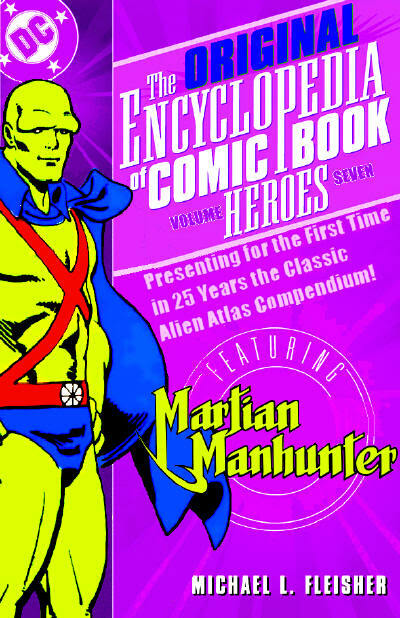 The Martians turned first swords, then ray blasters against the Martian Manhunter at Eda's command, injuring their former leader and driving off the Man of Steel. Later, Re's Eda led the march on Baltaz, but was halted by the arrival of the Batman and a dying N'or Cott on Mars II. Eda's co-conspirator revealed that the atmosphere of Baltaz was deadly to Martians, and the cause of his lethal malady. Before he passed, N'or Cott fingered Re's Eda as the traitor who masterminded all the recent transgressions. J'onn J'onzz ordered his troops to seize R'es Eda, and the renegade hasn't appeared since. 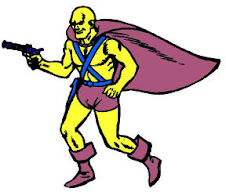 N'or Cott presumably possessed all the powers and abilities inherent in the Martian race, but displayed none in his appearances. He wielded a sword while commanding the Martian Army. Martians are known to be terribly vulnerable while in the presence of fire. 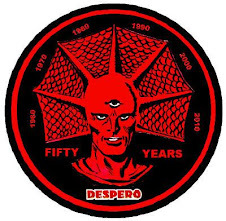 Quote: "Oh, my fellow Martians-- this is a glorious destiny we march towards... to conquer the underground city of Baltaz and take its riches from its corrupt and evil inhabitants! Thus shall the future of our Martian race be assured!!"